With so many new initiatives on the go, the local cinema has never been quite so exciting! 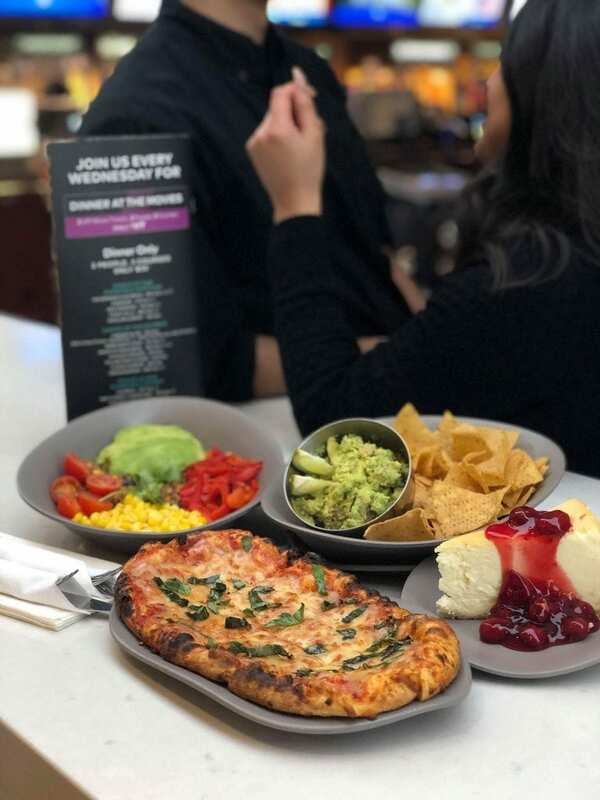 Intrigued by VIP offerings, the lounge, and Wednesday Date Night experience, we recently met with Amber Basso (VIP front-of-house manager) of Bloor-Yorkville’s Cineplex Cinemas Varsity and VIP to learn more about each of these exciting community offerings. Let’s just say, your movie nights will never be the same! One of my favorite parts of our Bloor-Yorkville Cineplex is the lounge! This area is open to anyone 19+ (seeing a regular or VIP film) to enjoy snacks, meals, or cocktails and reserve wines. 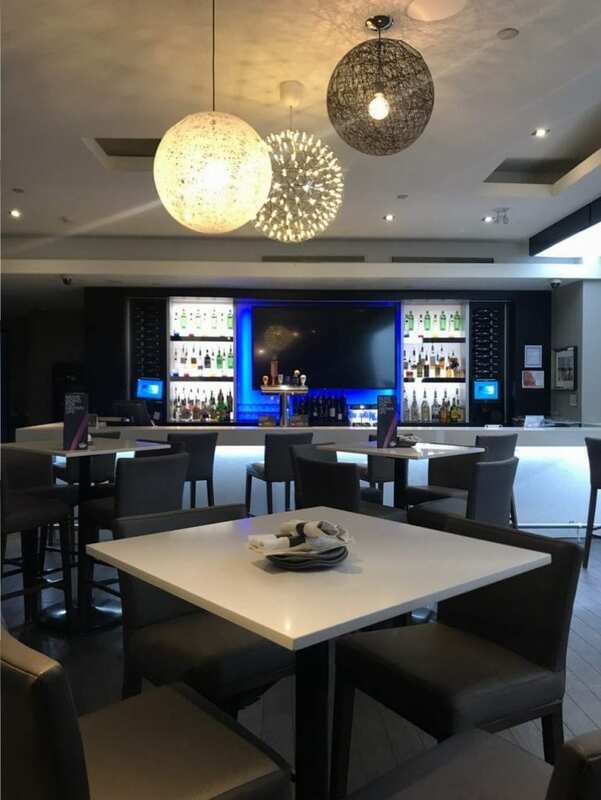 With a variety of high-top tables or more cozy seating arrangements, this is a great way to wind down after a long day and enjoy a moment to yourself or with friends before seeing a film. If you’re seeing a movie in the regular auditorium and are strapped for time, you can order snacks and drinks to-go, or if you’re seeing a VIP film, you can let your server know your seat number and have your order delivered! Launching soon is a vast list of Reserve Wines, making Happy Hour complete at Varsity Cinema! The VIP auditoriums also include tablets so you can place orders from you seat up to 30 minutes before your show begins. This is a fantastic addition to your weekly social events. Perfect for you and a friend or significant other, Date Night at Varsity Cinema is the perfect mid-week activity. 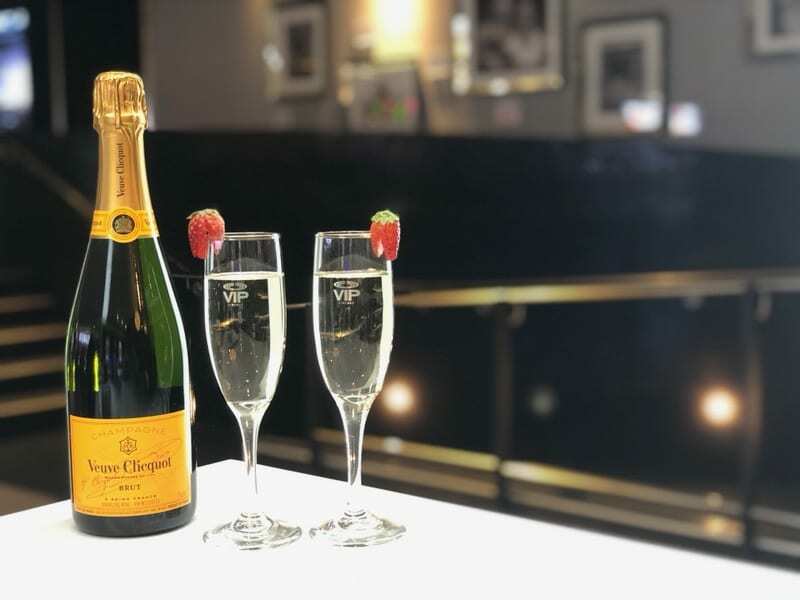 With Valentine’s Day fast approaching, the team at Varsity Cinema has you covered; all you need to do is toast a glass of Veuve Cliquot, agree on a film, and enjoy your night out! For $69.00 this weekly offer includes one (1) appetizer, two (2) entrees, and two (2) deserts along with (2) VIP movie theatre tickets. With the Date Night package comes the “Select Menu,” a prix fixe style that includes vegan and gluten-free options! The meal can be enjoyed in the lounge or brought into the VIP auditorium. If you’re not fully committed to seeing a film, but want to experience dinner in the lounge, the same offer is available for $35. The theatre will also be hosting a fantastic community event in support of The Oscars! The Lounge will serve as a live viewing area featuring a red carpet, voting ballots, and interactive prize packages! Whether you’re planning a date night, or bubbly with friends, Varsity Cinema truly provides an elevated movie experience! You can visit the Cineplex Varsity website to purchase advance tickets and for more VIP and Date Night information.